When I was a kid, we had a family tradition of baking Halloween cupcakes for all our friends. It was one of my favorite parts of Halloween! I still remember what they looked like (we always did the same design) – orange icing with candy corn eyes & nose with a walnut mouth (to look like jack-o’-lanterns). Although my cupcake design has changed, I still love making homemade treats for friends. 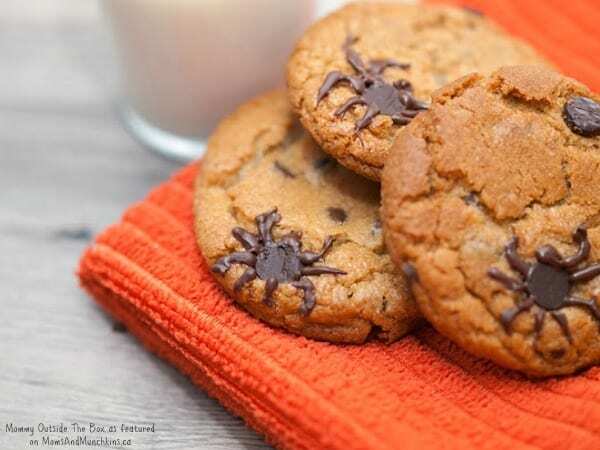 These free Halloween baking tags would go great with my Halloween baking this year! 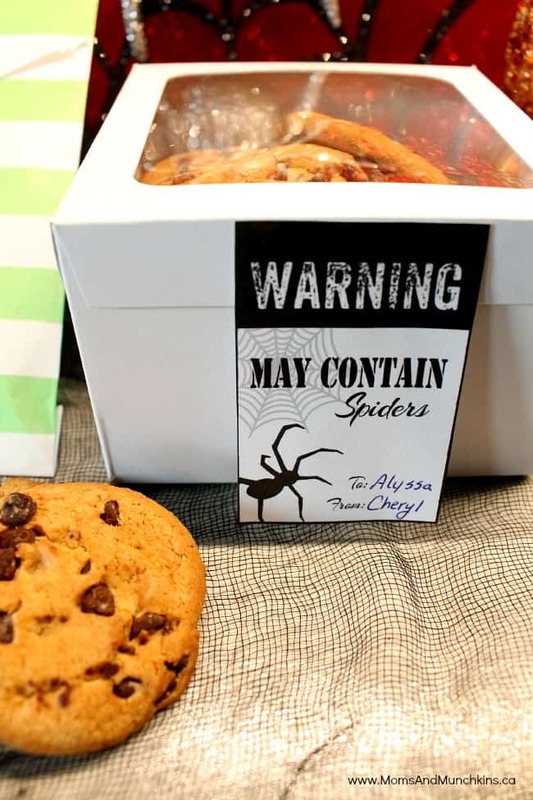 These Warning: May Contain Spiders label would go perfectly with these Spider Infested Cookies by Mommy Outside The Box. 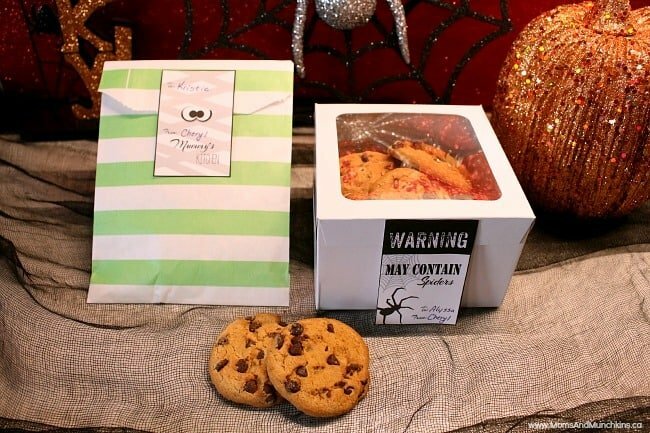 The From: Mummy’s Kitchen tags work well for any Halloween baking like cookies, cupcakes, candy apples and more! 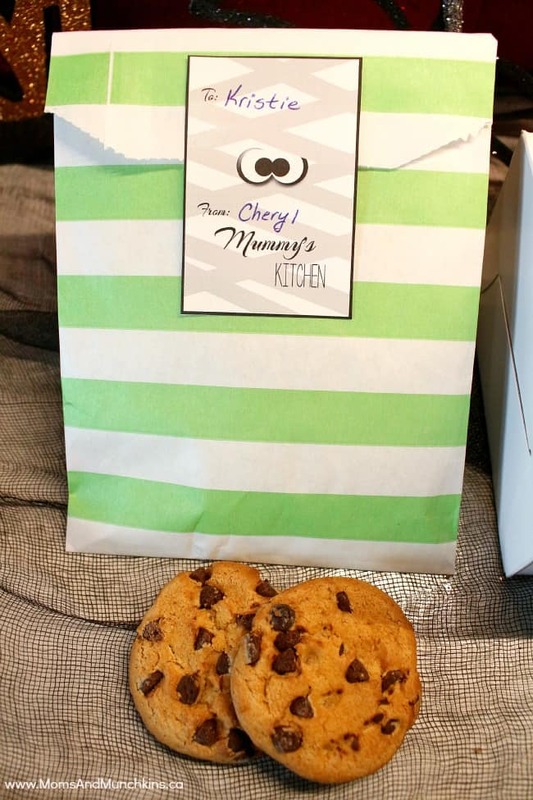 You can write your “from” name on them if you’d like as well or just leave it as “Mummy’s Kitchen”. These printables are available for FREE for our monthly newsletter subscribers! Signing up is free & easy. We have close to 8000 subscribers that enjoy the special freebies each month! Simply enter your email address, confirm your subscription, and you’ll be directed to a Thank You page with a link to the freebies page along with the secret password. This link and password will also be repeated in each of the monthly newsletters. Check out our Halloween page for even more free printables, Halloween treats, Halloween party ideas and more!